In the early 80’s, a kid out of Chicago named Jordan Fields had already taught himself to break-dance, DJ and make re-edits using a boombox and a little pause-button dexterity. Inspired by his older brother, he became a fanatic about mixing and scratching and soon found himself DJ’ing in the earliest days of what would later be known as the “Chicago House” scene. Hooking up with Rick Lenoir (producer of LNR’s “Work It to the Bone”- House Jam) in the early 90’s, Fields released his first single “Thrillseekers” EP, a jazzy house classic featuring Jordan on the mic scatting “Shoo Bee Doo Doo Waaaaaaaaa!!”. Dozens of releases later on both major and indie labels, Fields has refined a sophisticated, soulful groove that has made him a household name the world over. 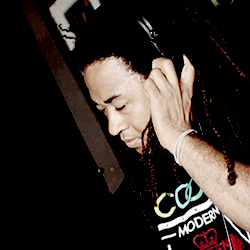 His release on Mo’ WAX, “Moments In Dub” now a classic was a both commercial and critical success by mashing up deep-house, hip hop and acid-fried funk into the mix. Jordan's next album Jordan Fields presents 2084 continued the mixed up genre concept offering cool lounge grooves, jazz, brokenbeat, deep house and a greatly received triphop influenced vocal track featuring Colette, with support from BBC Radio's Gilles Peterson! 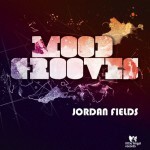 Jordan Fields also runs a few of his own record labels including the disco styled LeFreQ and deep house collector's dream Headphoniq. Being a DJ, Jordan continues this open minded approach to sound and is currently making the DJ rounds spinning sets of wild and diverse styles from Chicago and NYC Garage House to Disco, Detroit Techno, Electro, Nu Wave, Nu Jazz, Broken Beat, Lounge, Brazilian and Dub.